Essence Magazine, (the former number one show prep material for many Black radio hosts before Internet gossip blogs, lol) has chosen Ellianna Placas, a white woman, to be the new fashion director. What's this controversy all about anyway? Upon hearing the decision by Essence Magazine, we immediately thought of one particular radio program director and DJ that has helped to cement a Black radio station's legacy for close to 50 years. That person would be Joseph Tamburro the OM and PD at 105.3 WDAS FM. And yes for years many radio listeners didn't know that "Butter", (He used "Butterball" as his on-air moniker in the '60's) was White. But what difference does it make. To say that "Butter" is embraced and beloved in the African American community in Philadelphia would be an understatement. He still holds down his live oldies radio show broadcast every Sunday evening on WDAS. We can't think of anyone else who has worked in Black Radio management any longer than he has and held down the legacy of Black Radio and it's connection to the community. 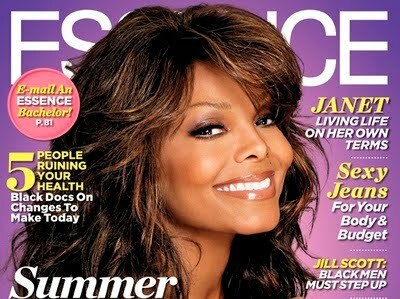 Essence Editor-in-Chief Angela Burt-Murray responded to the controversy by issuing a statement: "I understand that this issue has struck an emotional chord with our audience," said Burt-Murray, "however I selected Ellianna, who has been contributing to the magazine on a freelance basis for the last six months, because of her creativity, vision, the positive reader response to her work and her enthusiasm and respect for the audience and our brand. We remain committed to celebrating the unique beauty and style of African-American women in Essence magazine and online at Essence.com." On the website the Grio, Burt-Murray continued... 'When we run pieces on how unemployment is devastating black men? Nada," she wrote. "When we run story after story on how HIV is the leading cause of death for black women age 18-34? Zilch. The things that really are the end of our world apparently aren't." We concur with Mrs. Burt-Murray. Issues that matter get no response. Nonsense topics like this get "buzz". Syndicated host Michael Baisden even complained recently on the air that the topic of Shirley Sherrod got no response from callers when he first brought the topic up to listeners. So it's no wonder he talks about the things he does on the air. If Ellianna Placas can get the job done, what difference does it make? Michaela Angela Davis, this is a non-issue!! !